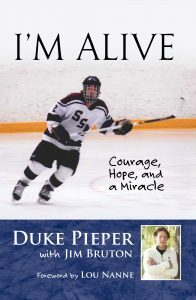 Duke Pieper was 15 years old when he was told that he had a 5% chance to live. It seemed that all the odds were stacked up against him. Except one, his determination. Through that determination and what is deemed as a medical miracle, he was able to survive multiple surgeries. How many Duke Pieper’s exist in the world? Not as many as you would think, he is truly a rare find and he has made sure to take full advantage of the life he has been given. According to the Brain Aneurism Foundation, there are nearly 500,000 deaths worldwide each year caused by brain aneurysms and half the victims are younger than 50. It seemed that all the odds were stacked up against him. Except one, his determination. Brain cancer, brain tumor, inoperable– -all words that make you only think of something negative, but Duke has turned those words into a positive. He has never given up, not once. He hasn’t given up fighting and he never gave up on his passion for his education or his love for hockey. 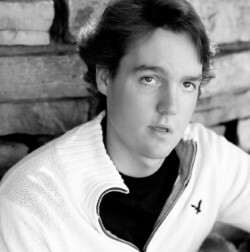 Pieper was a student at Hill-Murray High School as a varsity defenseman when he realized something was quite wrong before his first game. That is when he found out that he had a brain bleed and his whole life would change from that day forward. 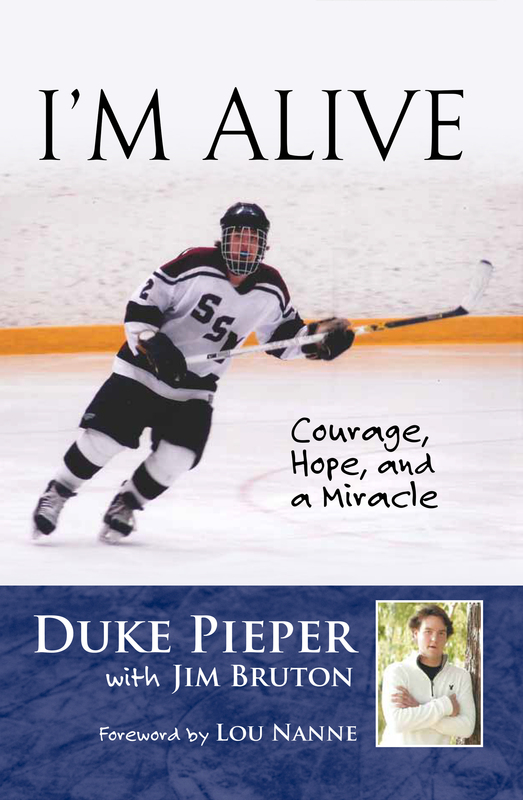 Duke has recently published a book, I’m Alive. All of the proceeds from his book go directly to his foundation. Pieper’s journey is a story that every single person should hear, read, and know. It is through his words that during the darkest of times you can feel instantly up-lifted. Currently, Duke still struggles and his battle is ongoing, as a story about that struggle and how he is trying to prevail by going to college, keeping up an active work-out regimen, and trying to be “normal” could truly inspire another person in a similar situation. Duke Pieper will be sure to personalize every book that is ordered off of this site!